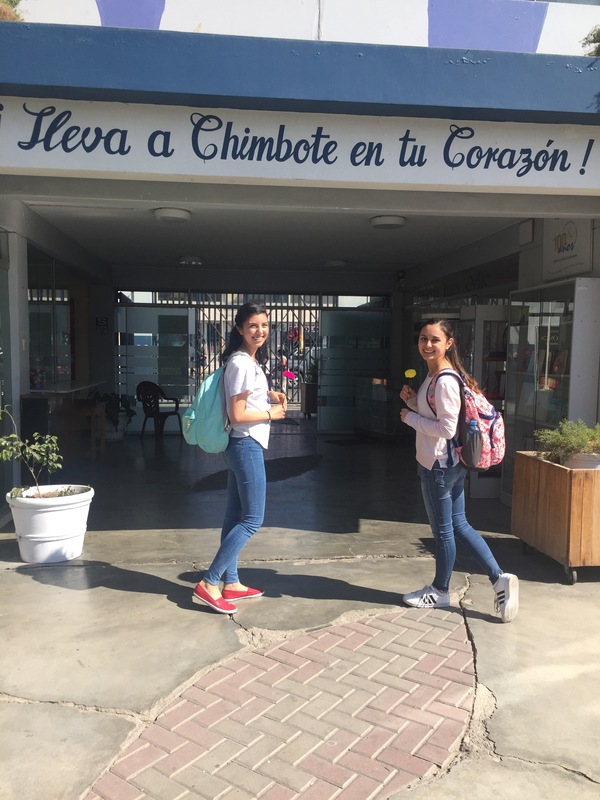 The community service and cross-cultural trainings in Chimbote we’ve participated in have been fulfilling in friendship. That’s one of the things we notice about this kind of trip – it’s relational, especially since WGC and the Incarnate Word sisters have had such a long presence here. Karissa Rangel, who just graduated with her bachelor’s and master’s in Communication Arts from UIW, received the Ettling-Hayes Immersion Trip Scholarship that enabled her to come on this trip. 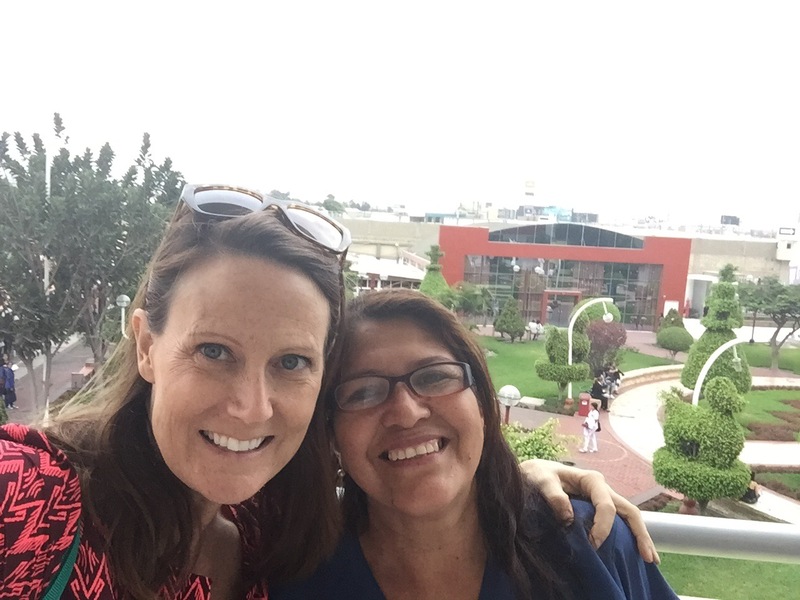 Karissa served for over a year as the Women’s Global Connection communications intern, so she knows so so much already about projects here in Peru – now she actually gets to meet people first hand! WGC is fortunate that she’s using her talents and skills during this trip to do a video for its October gala and to produce some other media content pieces. 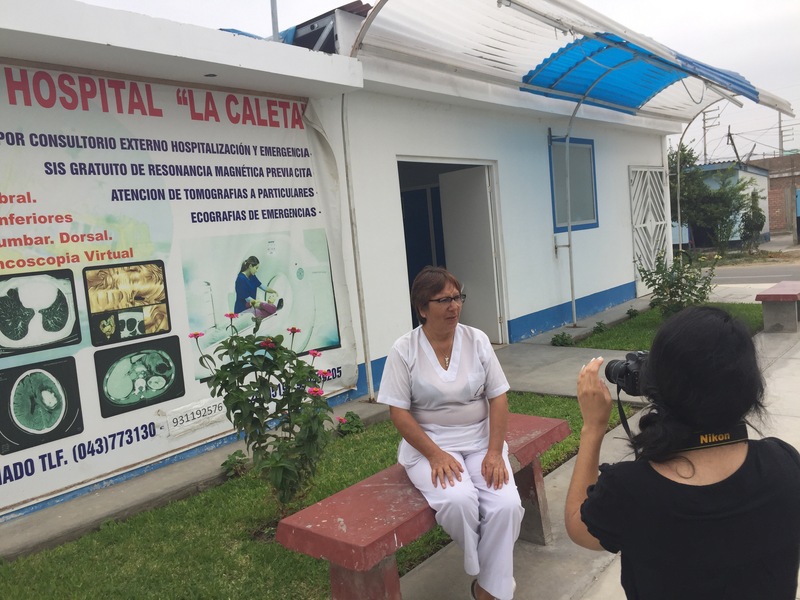 She conducted one-on-one interviews with Peruvian women, including Teo, who works as a nurse technician at Chimbote’s big public hospital that serves mostly low-income families, and Ruth, who has gone back to school to get her degree in psychology. With the entire group of Pushaq Warmi women, Karissa held a workshop focused on women’s groups across the globe collaborating using new technologies. She also served as one of several “reporter” on our trip – blogging, reporting, etc. Her storytelling abilities are invaluable! Monica “Moni” Hernandez, UIW Ph.D. Candidate in International Education and Entrepeneurship, has been examining many aspects of education here. She worked with students learning English in the group led by Incarnate Word Missionary Dianne Tribo. 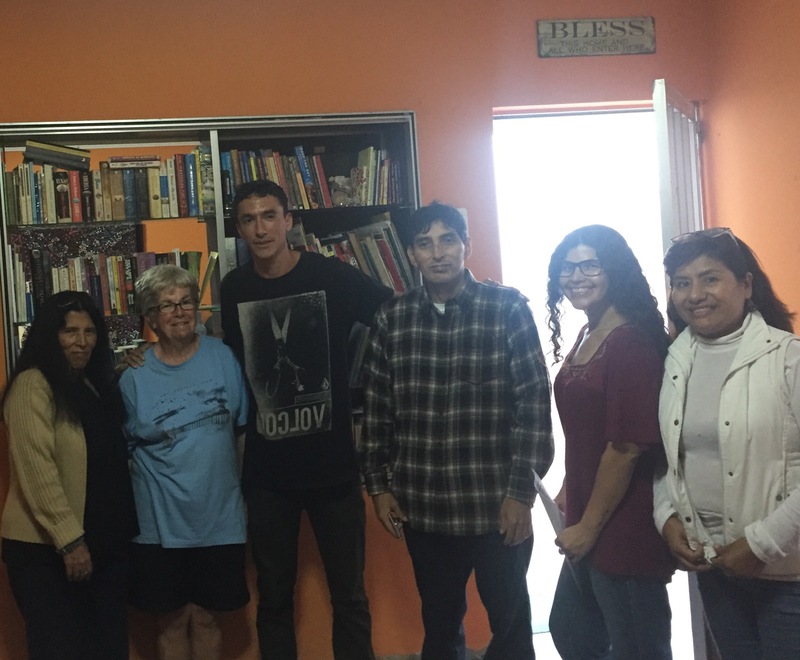 After several of their class sessions, Moni said she felt closer to these adult students and she was so motivated by their desire to learn. Moni says studying the quality and challenges of education in Peru is informing her own work as a teacher and student. Our whole group is very grateful to Cristina Sanchez, UTSA Undergraduate Student in Business and her sister Mariel Sanchez, UIW Undergraduate Student, Nutrition & Dietetics, for their excellent assistance in translating. Having been educated on both sides of the Mexico/Texas border they are fluent and this trip would not have been as successful without their skill and willingness!! Cristina also conducted workshops in accounting and Excel technologies with the women of Pushaq Warmi. 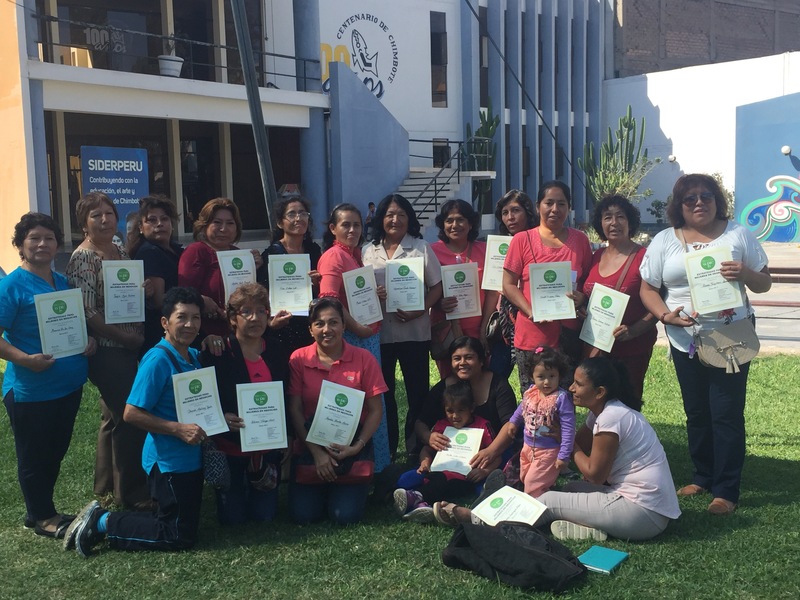 The trainings will help the group strengthen its collective business strategies and record keeping. 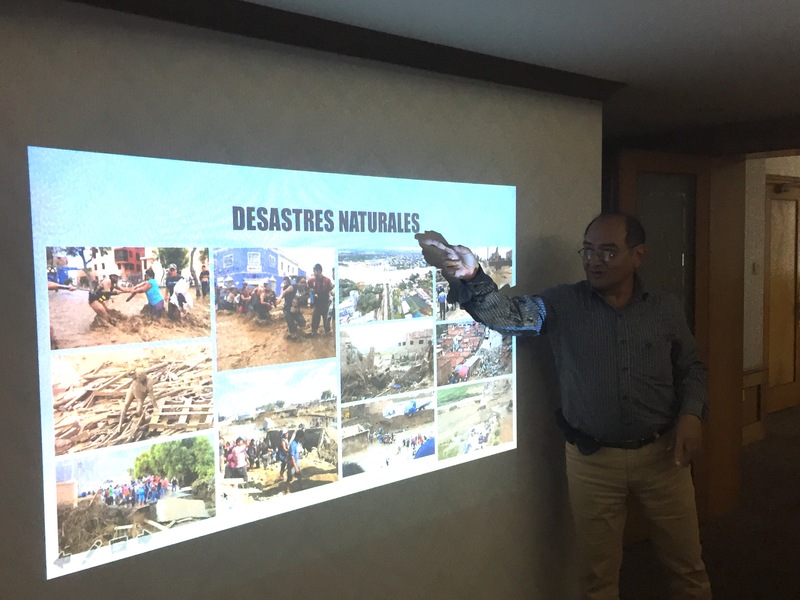 Mr. Mendoza is currently the Catholic representative on a national human rights committee formed by various religious and social groups concerned about indigenous peoples, the poor, women, homosexuals, and others who are often discriminated against. He gave us an overview of economic, political, and social challenges. Since Brian McBurnett in our group had a Fulbright Fellowship and had taught in Brazil at the Catholic University which was near a major “favela,” a huge area of poverty with extensive crime, he asked Mr. Mendoza questions which led into a discussion comparing challenges in various Latin American countries. 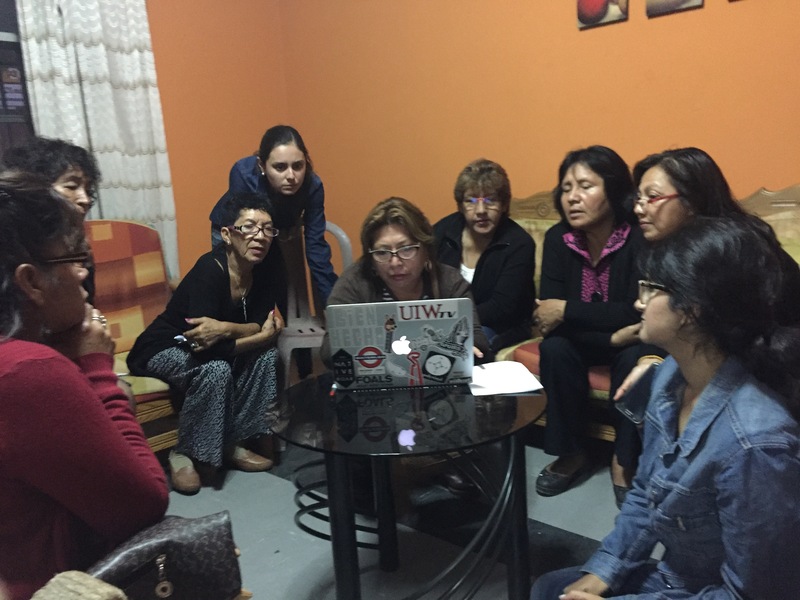 The preparation and the experiences of this Women’s Global Connection trip were now leading all of us beyond charity to social analysis. Hopefully this last session was actually the beginning of a life of deeper commitment to justice and solidarity.